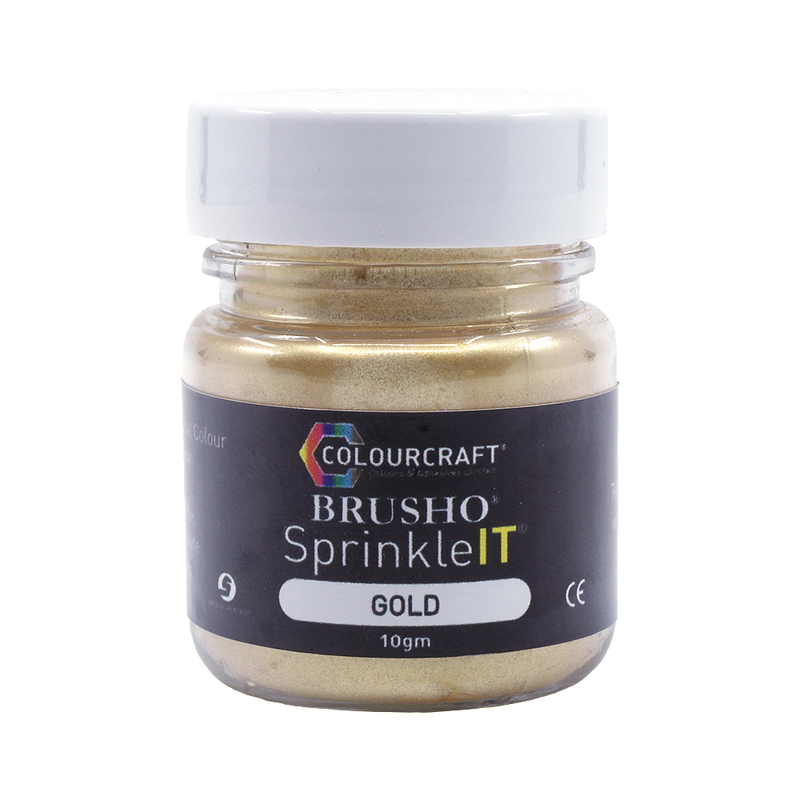 SprinkleIT is an exciting new product that works seamlessly with Brusho Crystal Colours! The range consists of three metallic and three iridescent colours. 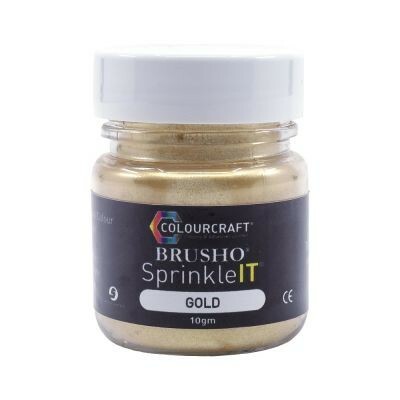 These powders can be lightly sprinkled onto Brusho when wet or dry and can be used to create subtle shimmering and glittering effects. You must ensure that enough water is used to wet the SprinklelT powders as they are water activated. Once your Brusho and SprinkleIT painting is dry you can give it a gentle tap to ensure any excess powder is removed. The Metallic colours come as a fine powder. 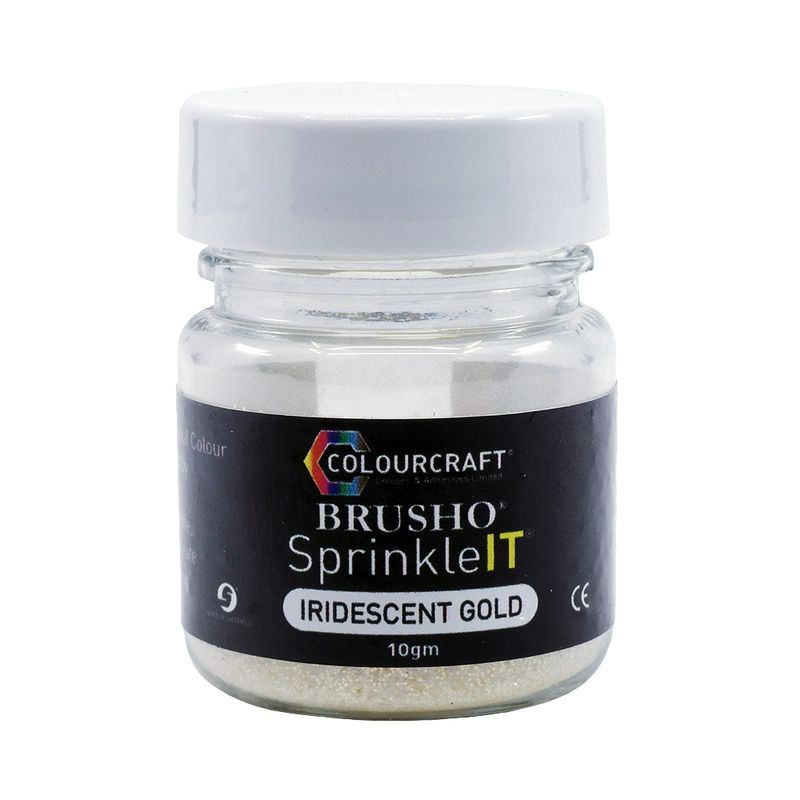 The Iridescent colours have slightly larger grains interspersed with glittery particles with a subtle colour. Available in 10gm pots. 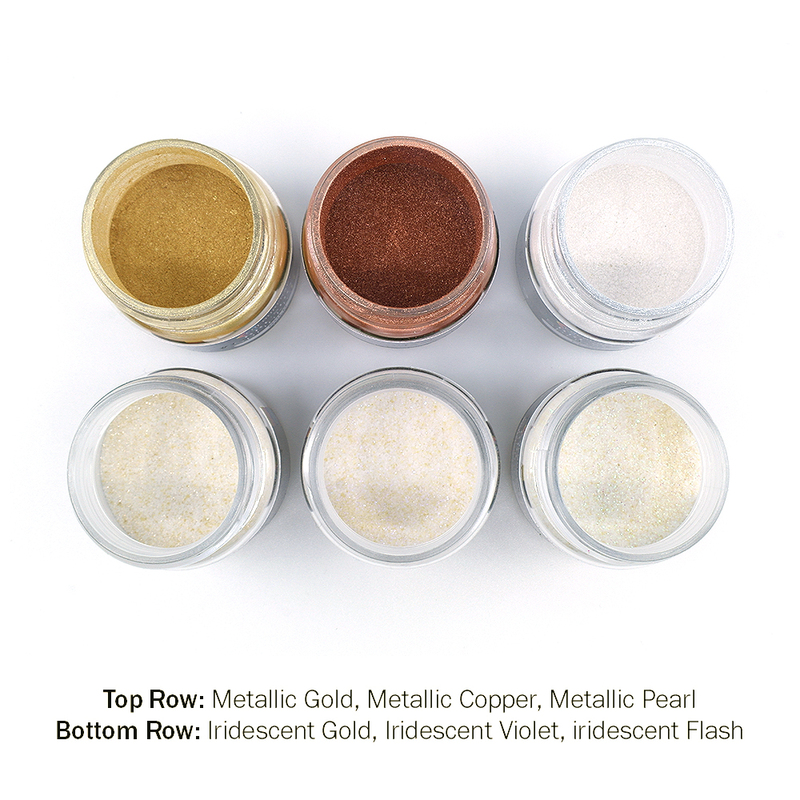 Please note that these powders are measured by weight, so the iridescent glitters appear less full than the metallic powders. A set of all 6 SprinkleIt Colours is available separately.